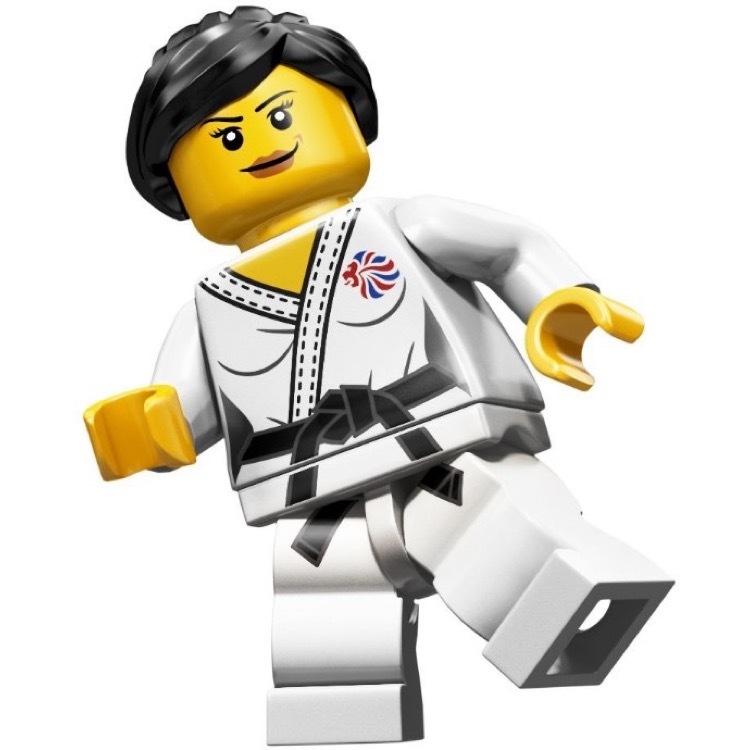 You are looking at a BRAND NEW foil bag of LEGO® Minifigures© 8909 Team GB Judo Fighter from 2012. This minifigure© is factory sealed and in very good condition with minor shelf wear. Collect every gold-medal contender in the Team GB LEGO® minifigures© series! Competition is building for the hot new Team GB LEGO® Olympic minifigures© team! Each of the 9 all-new minifigures© includes their own special accessories, display plate, collectors leaflet and comes in a sealed mystery bag. Team GB LEGO® minifigures© include: Brawny Boxer, The Stealth Swimmer, Relay Runner, Judo Fighter, Tactical Tennis Player, Flexible Gymnast, Wondrous Weightlifter, Horseback Rider and Agile Archer. A must-have for LEGO® minifigure© collectors! Collect all of the 9 mystery minifigures©! Trade with your friends to collect them all!